We value our customers. See all the ways you can save at Charlie's U-Save Pharmacy! 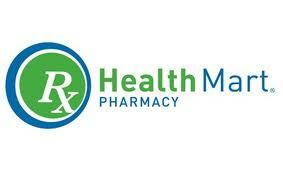 Charlie's U-Save Pharmacy is a local, family-owned and operated independent pharmacy. We have been serving the York area since 1984 and proud to be here! We strive to serve the community of York and the surrounding area with the highest quality products and services. In addition to prescriptions, we carry over-the-counter medications, home health supplies, diabetic supplies, and Leanin' Tree cards. We also offer a Kodak Kiosk for digital photos. Visit our specials page to see deals going on now! For your convenience, we offer in-town delivery services for a modest fee during our regular business hours and a drive-thru pick up to save you time and hassle. Stop in today to experience friendly, personable service from our staff who are proud to be serving the York community. Contact us to see how we can make a difference! New Insurance Cards for 2019 will need to be brought in with first visit in 2019!